The Guyanese-born British star of Black Panther received BAFTA’s rising star award. At the annual the British Academy Film Awards, known as the BAFTA’s, Ryan Coogler’s feature beat out other nominees “Avengers: Infinity War,” First Man,” and “Ready Player,” for the Best Visual Effects accolade at the ceremony held at the Royal Albert Hall in London. 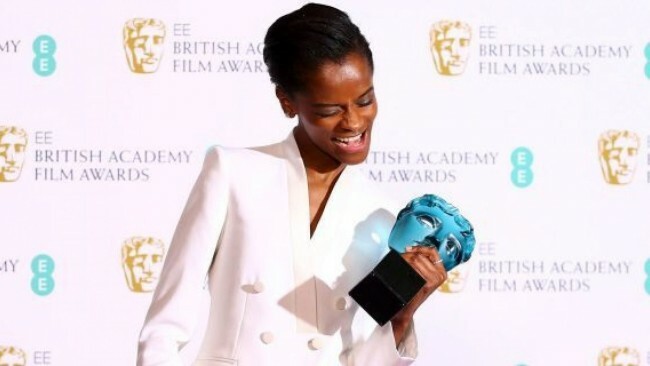 One of the film’s stars, Letitia Wright, the Guyanese-born British actress scooped up the only award voted for by the public, the BAFTA Rising Star Award. Last year’s Rising Star went to Wright’s “Black Panther” co-star Daniel Kaluuya. “The Favourite” and “Roma” were also the big winners at the event which was hosted by actress Joanna Lumley. “Bohemian Rhapsody” won two awards, including Best Actor for Rami Malek’s portrayal of Freddie Mercury and Best Original Music went to “A Star Is Born,” while Mahershala Ali won best supporting actor for Peter Farrelly’s “Green Book” and took home his first BAFTA having been nominated in the same category two years ago for “Moonlight,” for which he won an Oscar. Spike Lee won his first BAFTA with a win for “BlacKkKlansman” in the adapted screenplay category. Lee thanked the film’s real-life subject Ron Stallworth for infiltrating the Ku Klux Klan.